is dedicated to remain the industry leader in quality. The General Seal Corporation was incorporated in 1955 and has over 50 years experience in designing and manufacturing high quality seals and seal assemblies for a wide variety of applications. Our major goal is to provide designers, manufacturers and users of hydraulic, pneumatic, and other equipment with reliable, performance-proven sealing devices and related products. From our beginnings we have focused on demanding applications such as high and low temperatures, different speeds and pressures, long-endurance, and high chemical resistance - requirements that are characteristic of the automotive and aerospace industries. 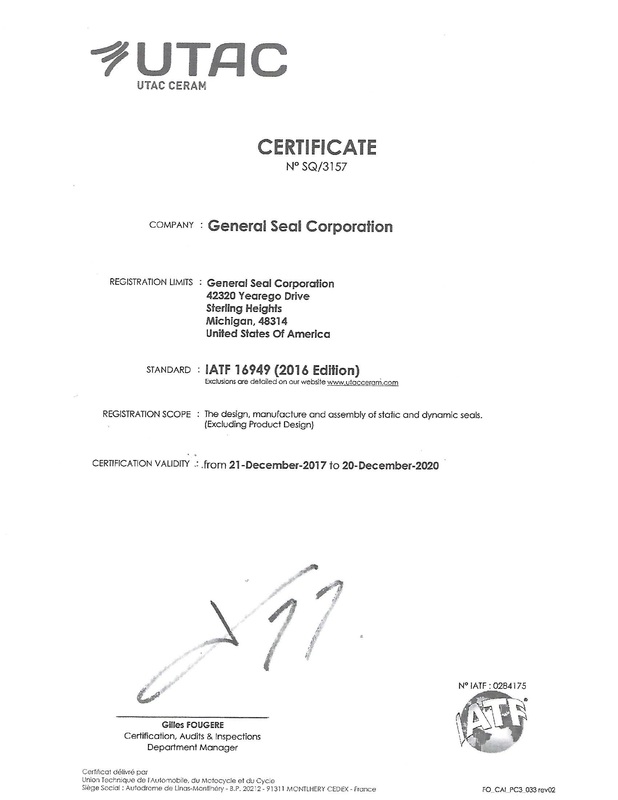 In this era of rapidly evolving technology, the General Seal Corporation is proud of our position as one of the premier seal manufacturers for the automotive, aerospace, and aircraft industries. Each of these industries is becoming more quality conscious and we are dedicated to remain an integral part of these rapidly expanding technologies. We have developed a state-of-the-art manufacturing process guided by strict quality control standards. Our four decades of engineering and manufacturing experience has positioned the General Seal Corporation as a stable, reliable supplier of high quality, low-cost parts and seal assemblies. Copyright 2010 General Seal Corp.